In a recent article in the Jewish Weekly reflecting on the release of Israeli soldier Gilad Shalit, a woman is quoted as saying that she envies Israelis because they have a country in which human life is so valued that they are willing to trade thousands of accused criminals to ensure the return of one man. The terms of Shalit’s release, coupled with the recent campaign for Palestinian state recognition by the United Nations, and last month’s UNESCO vote, have generated a renewed feeling of immediacy and urgency within the American Jewish community regarding Israeli-Palestinian relations and Israeli policy. Amongst American Jews there is a widespread interpretation and assertion that the brokering of Shalit’s freedom stands to remind the world of that which is special and unique about Israel as a state founded on and ruled by Jewish values. But this line of reasoning is tenuous. While the Shalit deal has allowed Jews to publicly celebrate the extraordinary value placed on human life by Judaism and, in turn–so the argument goes–Israel, it has also invited comparisons of the Israeli government’s treatment of its Jewish and Palestinian populations. Does Israel (and Judaism) place high value on all human life, or on Jewish life in particular? It is striking that many American Jews, who take great pride in their cultural relativism, outspokenness, and social justice orientation in other realms of their life, do not pose these and other important and self-defining questions. Rather they remain silent or stand firm in their public endorsement of the party line. This raises the question: Why are American Jews reluctant to publicly vocalize any critique of Israel? I am not taking a political position, that is, I do not adopt a pro-Israel or pro-Palestine stance, although I acknowledge the likelihood that some may attempt to infer one. Instead, my interest is in the negotiation of American Jewish identity vis-à-vis Israel, in particular, highlighting the potential identity conflicts and dilemma that may arise for American Jews who are in the minority and are sympathetic to the Palestinian cause. It is with more than a fleeting sense of trepidation that I write this piece. As scholars we are trained to analyze and deconstruct, making sense of and critiquing complex and often potentially controversial subjects. As a Jew, however, I cannot escape the overwhelming sense that I am treading where I should not go, and that many could find what I write to be, at the very least, the violation of a taboo and, at worst, profoundly dangerous. In the early part of the twentieth century, the American Jewish community was far from unified on the subject of Israel. American Jewish leftists were deeply and vocally opposed to Zionism on ideological grounds, as they stood in opposition to all forms of nationalism. Other segments of the Jewish population were concerned that overly visible support of Israel would lead to suspicions regarding Jewish loyalties. Finally, on-going conflicts and negotiations over Jews’ racial status and acceptance into hegemonic American society figured into the Zionism debate. The call for Zionistic support hinged on the notion that all Jewish people were somehow fundamentally connected and that this connection existed on a deeper, more primal (possibly biological) plane than that which is engendered by shared practices. Given that Zionism could act to confirm the Jewish people as a “race” unto themselves, and that Zion was often linked to non-western and exotic locales and cultures, there was a concern that, as a movement, Zionism could possibly undermine what was perceived as a Jew’s tenuous position in white America. In the time since the end of World War II and the formal establishment of Israel as a nation-state, the debate and discourses of dissent surrounding all things Israel have virtually disappeared within the American Jewish community. Somehow, over time, an unmitigated and unconditional support of Israel, at least publicly, have become a fundamental component of being Jewish in America. But do American-Jews in truth uniformly maintain such unwavering and uncritical support of Israel? Many have written about the conflicts within the American Jewish community over whether, how much, and how vocally to aid African Americans prior to the civil rights movement. The arguments vary in their detail, but generally concur that in the early part of the twentieth century the liberal Jewish sensibility generated a desire to ally with African Americans, with whom many Jews identified as a co-suffering minority. However, the need to not complicate and threaten their own status within majority American culture prevented American Jews on the whole from publicly acting on this impulse. Currently, the situation of the Palestinian people has created a similar dilemma for many American Jews. However, the risk for those who harbor Palestinian sympathies is not that their status within American society may be called into question, but that they will face criticism and ostracism from their fellow Jews. To support the Palestinian cause challenges and undermines one’s status as a Jew. Without question there is a real threat to the safety and integrity of the state of Israel originating from some sections of the Arab world. Without question the seeds of anti-Semitism still, and undoubtedly will continue to, flourish in some corners of the world, both in America and abroad. However, American Jews today enjoy a level of unprecedented success, security and stability. When the “American” half of the identity hyphen is highlighted, American Jews frequently and productively engage in debate and critique regarding the positions and practices of their own and other governments and peoples. They do so freely, without concern for how such dialogue might impact their status, safety, or identity as Americans or Jews. When the “Jewish” portion of their identity comes into play, however, a different approach is engaged. On this one issue, the subject of Israel, a culture of fear seems to continue to hold considerable sway and, as a result, there is an expectation that support of Israel is absolute and unquestioning. For many in mainstream Jewish culture, the slightest critique of Israel, even a potentially constructive one, is construed as an anti-Semitic attack. In this context, the labeling of a person or commentary as “anti-Semitic” acts as a powerful tool to delegitimize content and, more importantly, the individual. Many Jews, regardless of personal views, choose to silence their voices rather than face potential devaluation in the eyes of their community. There are preliminary rumblings of discontent seeping into the popular American Jewish imagination. The 2008 founding of JStreet suggests that, perhaps, a public dialogue of counter-opinions is taking shape. Some in the popular press are beginning to introduce the possibility of a critical conversation, arguing that such discourse can only serve to strengthen the Jewish people and the position of Israel. This indicates that there are some who are willing to publicly promote a position that one can be pro-peace, pro-Palestinian rights, critical of aspects of Israeli policy, and still be a valuable and productive member of the Jewish collective. However, JStreet’s current membership represents, at most, only three percent of the American Jewish population and, further, those who publicize such positions are still most often faced with a barrage of criticism and vitriol from within. Most in American Jewish society continue to perceive an overwhelming message that American Jews are not only expected, but required to project “rock solid” and “wall-to-wall” support for Israel. Put simply, for the majority of the American Jewish populace, unwavering support is seen as a foundational element not only of being an American Jew, but of being a good Jew. 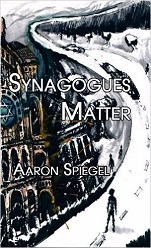 These themes are among the most dominant in the American Jewish master narrative. If there is little-to-no safe space to publicly express a counter-opinion, one is left to wonder about the identity implications for those who are not comfortable with the current expectations and available normative roles. For now, they are left out of the story. A. Butler-Smith, “Diaspora Nationality vs. Diaspora Nationalism: American Jewish Identity and Zionism After the Jewish State,” Israel Affairs 15(2), April 2009. S. M. Cohen, “JTS Rabbis Then and Now: The 2011 Survey of JTS Ordained Rabbis and Current Students,” Jewish Theological Seminary, 16 September 2011. J. J. Goldberg, “Conservatives reject call to leave Israel out of campaign,” Forward, October 27, 2011. JStreet, National Survey of American Jews, July 2001. E. Goldstein, The Price of Whiteness (Princeton, NJ: Princeton University Press, 2006). G. Gorenberg, “Anti-Dissent Disorder,” The American Prospect, June 6, 2011. A. Pickus “Gilad and Me,” The Jewish Week, November 1, 2011. M. Walzer, “American Jews and Israel,” Dissent, Spring 2011.